Mommy, all your pretty hair things belong to me now! First the hair things, then trying on your makeup when your back is turned, then your shoes as she gets older, then your car (if you drive). Kids! Who’d have them? What a cutie – but a warning: It’s all downhill from here. The other day I was relegated to the guest room, and this morning I had to ask permission to enter ‘her’ bathroom. This caption reminds me of something my daughter said to me when she was about 5 and I brought home some particularly nice smelling lotion (for myself). She said, “Momma, were sharing this, right?” And so it began. Nothing has been solely mine since. Sounds like it begins for you too. For some reason,with her, I don’t mind. 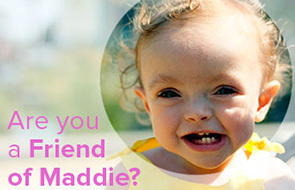 So adorable – and she does look so much like you! She DOES look like you here! What a doll baby. And yes, you are never going to have anything to yourself ever again! My daughter is 15 and we share everything…of mine! This is such a cute picture and I have to chime in, too, that she looks so much like you in this picture. Wow! !